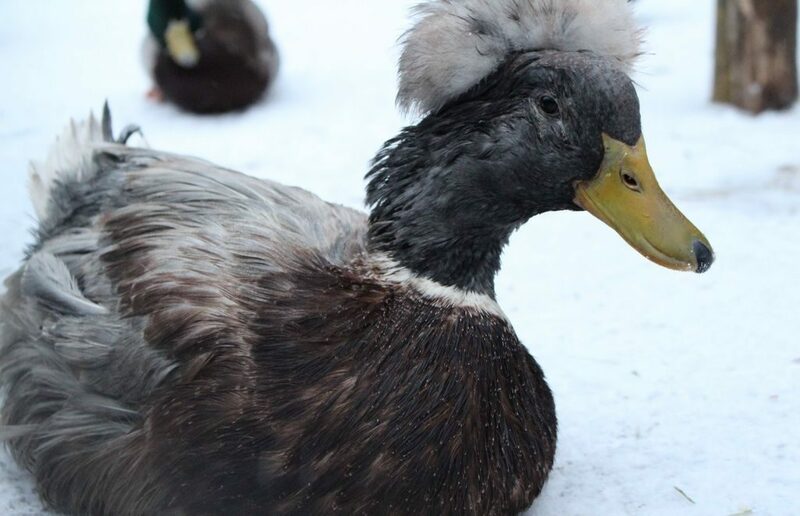 Ducks from Peterhof have decided not to migrate to warm areas this winter which they find absolutely comfort for a stay. They gather at the Krasnoprudsky canal’s shore in big numbers causing jokes by locals and media that Peterhof got another attraction in addition to its fountains, parks and palaces. The ducks have been staying in St. Petersburg and its suburbs instead of flying to European southern countries for last several years opting to settle in the Neva, Fontanka and Moika rivers and ponds at parks including the Peterhof’s. Overall, nearly 10,000 birds stay in the city and nearby. This year Peterhof has seen an incredibly big number of ducks totaling about 4,000 according to some estimates. Media outlets say there is almost no free space in the water and on shores of the canal. Peterhof authorities even published information on right feed of birds on the town’s website. For example, brown bread is bad for ducks as it causes problems with indigestion; it’s recommended to feed them with wheat bread and cooked cut-up vegetables and cereals. Some entrepreneurs were fast to open a kiosk selling cheap wheat bread. The weather in St. Petersburg has often been a topic for the news in recent years. The summer 2016 was the wettest on record, the first half of November 2016 was the snowiest in last 50 years, 14 February 2017 was the warmest since 1995, the temperature in the winter 2016/2017 crossed the zero line for at least 50 times so far — almost every other day. No surprising that Peterhof mighty ducks cannot know what they should do — migrate or enioy themselves with the beauties of Peterhof. To see the ducks, first read our post about getting to Peterhof from St. Petersburg.